Moms work really hard! Between getting the kids to school, music lessons and cooking dinner, there’s a lot to do in one day. Others are juggling part-time jobs while they still care for their little ones. Needless to say, most moms deserve a night or two away from all of the work. Here are some fun things you and other moms can do in Fort Worth – or at home – for a mom’s night out! Movies. Do you want a couple of hours to sit and think about anything besides the laundry? Grab some of your mom friends and head to the movies! Check out Fandago’s webpage on movies showing in Fort Worth theaters. Performances. Be amazed when you watch a live performance at these theatres in Fort Worth! Book seats to a musical at the Bass Hall, or watch a fun play at the Casa Manana. What better way to have a night of fun with the girls? Comedy. Fort Worth sure has a great reputation for its comedy acts. For an evening of laughter, go watch Four Day Weekend or any of these hilarious comedy sites perform for your delight. What’s a mom’s night out without a little fine dining? The food options in Fort Worth are numerous. If you’re headed downtown, check out this list of options. You won’t be disappointed! Looking for something new? Check out the 25 Best New Restaurants in Fort Worth. Sundance Square. This elegant block is right at the heart of Fort Worth – and jam-packed full of places to eat and shop. You could literally “shop until you drop!” Check out its website to look at the great stores at your disposal. Stockyards. Are you a country lover? Maybe just old-fashioned? Either way, you’re sure to love the old western stores scattered around the Fort Worth Stockyards. Take a look at the variety of shops they have on their webpage. West 7th Area. The west 7th area is a great place for you and your mom-friends to stroll around, shop and even grab a bite to eat. Head to the salons for a mani-pedi, or go to other stores to look for Christmas presents. Need other places to shop? Take a look at this site to find more stores in the Fort Worth area. Bowling. See which lady in your group can get the highest score! Bowling is a great activity for a night of fun. Take your pick of one these bowling alleys around Fort Worth. Canvas Painting. Come one, come all! You can be a professional artist – or completely inexperienced. Either way, you will have a great time at the classes and leave with your very own work of art. For one-night classes, head to Painting with a Twist or A Piece of Work! Coffee. Want to go somewhere cozy to stay warm and chat ? Check out these one-of-a-kind coffee shops littered around Fort Worth. Head to Buon Giorno, Avoca Coffee or Brewed for a toasty evening. Pottery. 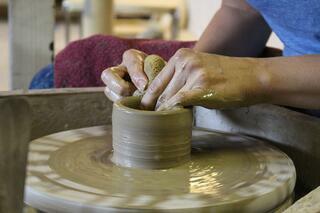 Maybe your group is feeling artsy – if so, Fort Worth has some great pottery classes available. While most of these pottery classes require two appointments (one, to make the pottery, and two to glaze it), it’s a great excuse for a second mom’s night out! Check out Firehouse Pottery & Gallery or Garret Pendergrass Pottery for classes. Museums. Fort Worth has a wide variety of beautiful, historical and interactive museums. Take a look at the list of museums you won’t want to miss, here! Game Night. Have each mom bring their favorite game. Eat some food and play to your heart’s content! This is always a lot of fun. Gift Exchange. Have a little Christmas get-together with a White Elephant Gift Exchange. If you are unfamiliar with the rules, check out this webpage. Gift Wrapping Party. Tis the season for gift giving! Except for the fact that it can be challenging to find a time to wrap presents during the holiday season. Host a party where your mom friends can bring the gifts, wrapping paper, ribbon and more to get this job done. Movie Night. Put on your favorite chick-flick and have a PJ party! What girl doesn’t love this kind of night? Pinterest Attempts. You probably have a lot of pins – be it recipes, crafts or scrubs – that you’d love to try out. Experiment with your friends and see if you are successful! If you’d love a night out, but think you might have to stay home with the kids, think again! Take a look at Creative Soul’s Friday Night Fun Nights for your kids to enjoy some fun of their own while you’re out. Read all of the details on our website. 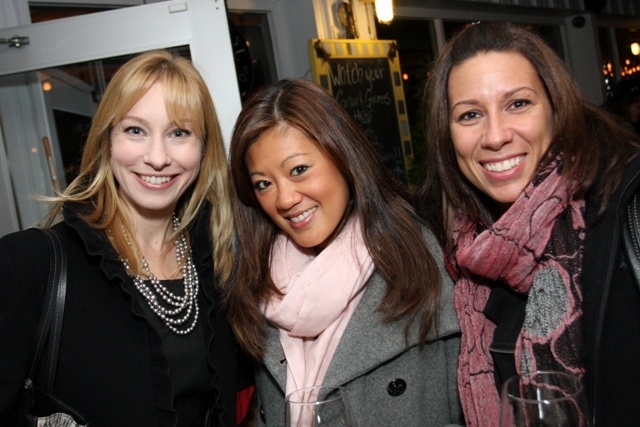 We hope these ideas and suggestions help you plan the perfect mom’s night out – whether on the town or in the living room! What is your favorite thing to do with other moms? Leave a comment below!